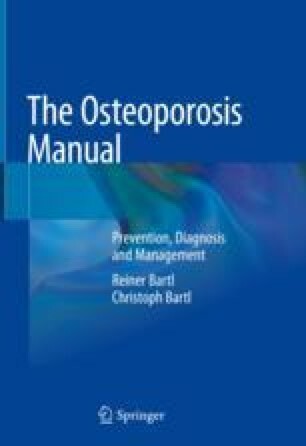 The early diagnosis of osteoporosis, before occurrence of fractures, can only be made by means of bone density measurements (bone mineral density (BMD) test). These measure bone density at various skeletal sites and thereby enable a prediction of risk of later fracture. A 10% decrease in bone density doubles the fracture risk for the vertebral body and trebles it for the hip joint. If a fracture has already occurred, this test is used to confirm the diagnosis of osteoporosis and determine its degree of severity. BMD provides the following information.